The announcement of the new government by Winston Peters on Thursday night felt more like a Melbourne Cup than politics. I livestreamed Radio NZ’s Checkpoint as I charged around Countdown with my tamariki picking up a few extras for dinner — but nothing happened until after dinner when Winston finally made his way to the podium. Dishes were abandoned half done, lunch boxes strewn across the bench, and everyone beat a quick retreat to the lounge to turn on the TV. Our entire whānau was glued to the screen when Winston had his moment in the sun. Our six-year-old, Mangō-Ururoa, wasn’t quite sure what was going on and complained that it was hard to understand. But Te Kaponga (8), Hinengākau (11) and Ataraira (14) were captivated. And then Winston announced what we had convinced ourselves wouldn’t happen: There would be a coalition government with Labour. At our whare, there was laughter and celebration. Things seemed just a little bit brighter to us all. 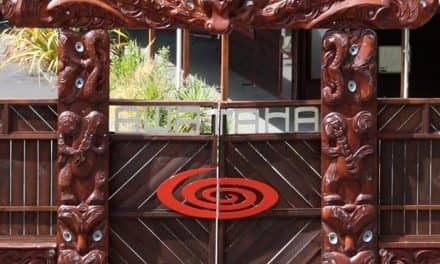 The morning after, our tamariki left the house with a cheery: “Pirimia hou!” New prime minister! While they probably suffer from a form of Stockholm Syndrome after years of captivity (and, some might say, brainwashing) with me and my wife, Jo, their happiness seems a fair reflection of the state of mind of many young people today. Our tamariki have new hope because they feel Jacinda Ardern and Winston Peters are forming a government for them. Jo is a teacher who worked hard at her kura during the election campaign to encourage young people to enrol and vote. And the message from those rangatahi was unmistakable: they wanted change. 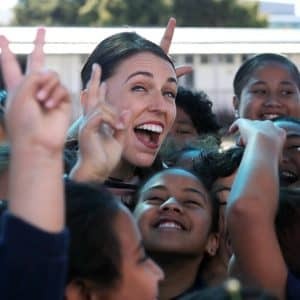 When Jacindamania rolled into town in Tauranga Moana, the crowd who came to see this woman who promised change was noticeably young and enthusiastic. My father-in-law, Max, said the turnout in central Whanganui for Jacinda was the largest he’d seen for a political event since Norman Kirk came through in 1972. I can’t help sympathising with Bill English, who graciously admitted defeat but pointed out that nearly one in two voters had voted for National. 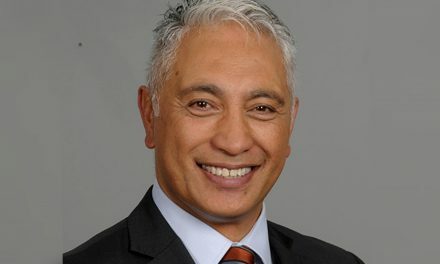 That’s a bitter pill to swallow, but he probably knew that the future of our country, our tamariki, weren’t among National’s voters. The three parties now in government all campaigned on change. In negotiations, I suspect Bill knew that change was coming. There was no obvious youth-quake that swept the vote, but there was more political engagement among youth, Māori and Pasifika than there had been for a number of years. Well over 60 percent of the youth vote, Māori votes and Pacific Island votes were for a change of government. Our status quo — building wealth for the lucky few — didn’t inspire them, and it didn’t give them hope. Winston noticed, and homed in on that desire for change in his decision speech. 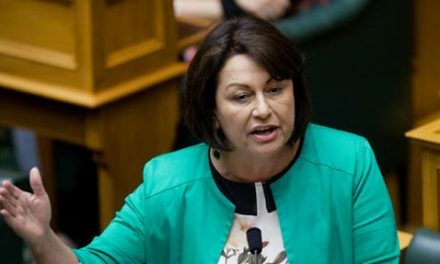 Hinengākau and Winston Peters would probably get on like a house on fire because, when I told her there was going to be Labour-New Zealand First coalition government, she smiled and said it was good, because now people who were homeless in the streets could get houses. Perhaps you can see why my tamariki, like many other young people, are feeling hopeful. It’s not a hope that someone is going to fix all the problems they see. They’re pretty sharp: they know that. Their hope is that this result gives their generation a chance to build their own solutions now. My tamariki understand justice and they’re concerned about their planet. They and most young people saw Labour offering hope, and National offering what we already have. Capitalism’s “human face” is going to be an economy that serves us and our environment. The pendulum had swung too far, to the point where our people and our environment have been serving the economy. For a long time now, our society has been fixated on ensuring growth and profit. But we can’t eat that, we can’t shelter under it, and we can’t breathe it. And it’s no legacy for our tamariki. We’ve acted as though we could always grow more and profit more. Our fixation has held us back from resolving the consequences of that pursuit: such as the housing crisis, homelessness, the mental health crisis, our degraded waterways. When we try to maintain the status quo, these problems seem impossible to solve. But our young people tend to see the simple solutions that we overcomplicate. Their ideas have always struck me as the essence of New Zealand’s number 8 wire culture: get on and do it with what’s already here. What Jacinda captured is that politics, at its best, isn’t for us. It’s for the future. That’s what inspired those young people who voted for her. What Winston did was choose a government that can change direction for the benefit of our young people. It’s difficult to maintain hope and a future focus in Wellington. But if Jacinda or Winston ever need an injection of hope and enthusiasm, they can always take my tamariki out for a hot chocolate. Ae. And reme.ber the Greens. Ae. And remember the Greens. A well written article. I too, like your wife am a teacher and in the last election only 3 of my 22 students whanau voted in the last election. We too have worked hard on educating our children and whanau about the importance of enrolling and voting. As a teacher, we looked at each party and their policies in children’s speak. Teaching our whanau members and our students the importance of their vote as the same the prime minister and if we want change they have to vote. My children voted in the kids voting and they voted Tamati Coffey in as the candidate and the majority voted for Labour. They too were stoked. Beautifully said Graham. I too am excited about the future of Aotearoa and its Tangata Whenua, even though I no longer live there. 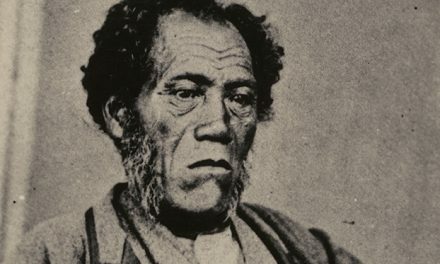 Kia kaha tonu koutou, tatou. What a great article. Our young people have it right. Change takes courage and optimism, something often lacking in the older generations, and it is the young who will face the consequences of change….just the same as forever. Our voting public need to think back to when they were young and when anything was possible.